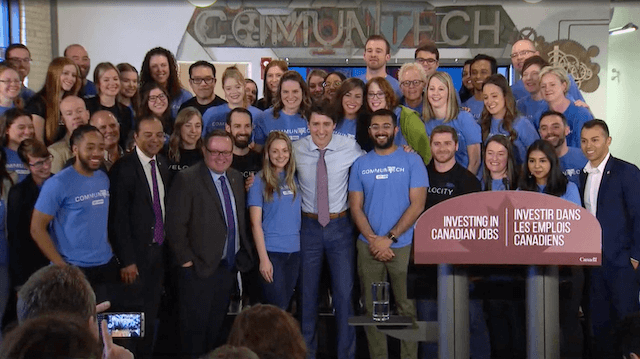 Prime Minister Justin Trudeau announced today that the federal government is investing $52.4 million in a Scale-Up Platform, which will see Communitech, MaRS Discovery District, and Invest Ottawa come together to support Canadian tech companies. He noted that Canadians are leading the way globally in a number of sectors including AI and machine learning and pointed to the need for the government to partner with organizations to support new technologies, in order to solidify Canada’s place as a global leader in innovation. Calling it a “first-of-its-kind platform” Trudeau stated the new program will give startups and scale-ups alike new opportunities, create 18,000 jobs, and $11 billion in revenue, as well as attract $4 billion in investment. The three organizations, spanning Kitchener-Waterloo, Toronto, and Ottawa, will pool their resources to implement the program. Scale-Up Platform plans to help 30 Ontario companies scale up, with the goal of helping those companies achieve revenues of $100 million or more, by 2024. The program will also look to provide services, including advice on accessing capital, talent, and global markets to thousands of other companies, as well as building stronger partnerships with post-secondary institutions. The $52.4 million investment is being made by the Government of Canada, through FedDev Ontario. The money will be spread over five years, with Communitech receiving $18 million, MaRS receiving $17.5 million, and $16.9 million set aside for Invest Ottawa. Prime Minister Justin Trudeau toured Communitech before announcing the $52.4 million program. Trudeau has previously spoken out about creating an environment in Canada that allows companies to scale. Earlier this year, at a Toronto Region Board of Trade dinner, he stated, Canada needs to be “keener” on recognizing and taking advantage of our resources. “We need to make sure there is a business ecosystem, supporting and drawing on this world-class talent we have,” Trudeau said at the time. Regarding today’s announcement, Trudeau pointed to the traditional challenges facing Canadian companies when it comes to scaling. He noted this investment is focused specifically on addressing those challenges by utilizing the different skills and resources of what he called the some of Canada’s top innovation hubs. Today’s investment is part of the government’s Innovation and Skills Plan, which looks to make strategic investments to build “innovation ecosystems in Canada.” Other investments have included the Supercluster initiative, Venture Capital Catalyst, and the Global Skills Strategy. The 30 companies that will be receiving support from the Communitech, MaRS Discovery District, and Invest Ottawa, to help them scale, were not specified in the announcement. The last time that Canadian innovation hubs received this amount of funding was through the national Canada Accelerator and Incubator Program (CAIP), which was announced in 2013, allocating $60 million over five years to outstanding incubators and accelerators. An additional $40 million was added to the program in 2014. At the time the CAIP program was delivered on behalf of the Government by the National Research Council’s Industrial Research Assistance Program (NRC-IRAP). It selected 15 organizations across Canada to receive funding including Invest Ottawa, Communitech (in collaboration with University of Waterloo’s Velocity, Laurier LaunchPad, and the Waterloo Accelerator Centre), and other regional hubs including New Brunswick’s Propel ICT. BC-based Wavefront Wireless Commercialization Centre Society, which has since shut down and gone bankrupt, also received funding. Wavefront was set to receive up to $9.5 million over five years, but eneded up with more than $2 million in debt. RELATED: CanCon Podcast Ep. 116: Is the party over for Canadian incubators and accelerators? In 2015, the Kitchener-Waterloo region, under the Communitech collaboration, received $9.7 million in funding through CAIP. Since then, the federal government has decided that federal funding for Canadian accelerators and innovation hubs will be allocated through Regional Development Agencies (RDA), part of the Innovation, Science and Economic Development (ISED) portfolio. Funding for Scale-Up Platform was administered through Southern Ontario RDA, FedDev Ontario. While this new approach replaces CAIP’s financing, it adds new activities and resources. 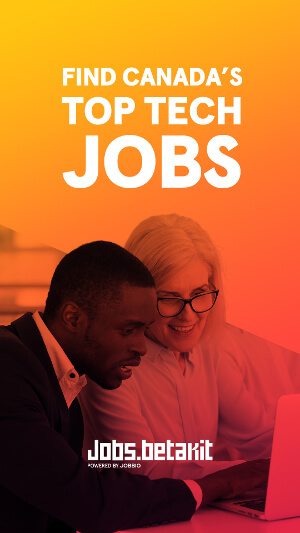 The $52.4 million in funding is being given directly to MaRS, Communitech, and Invest Ottawa to help them develop programs providing coaching and advisory services and talent programs to help firms attract and retain top talent. The program, which was a joint proposal from the three above mentioned hubs, will also promote an integrated, collaborative angel and venture capital investment ecosystem, as well as provide market intelligence resources to support companies as they enter new export markets and find new customers. While each hub has built out its own plan for how the funding will be used, they will work together to implement these programs, with the mandate of creating those 18,000 jobs. Funding will also help add more physical spaces and lab resources for deep tech companies, such as those at Velocity, and Waterloo Accelerator Centre. Additionally, the three hubs will also ensure that innovation centres in smaller communities in Ontario will have access to scale-up programming, advisory services, and support. Meagan is the Associate Editor for BetaKit. 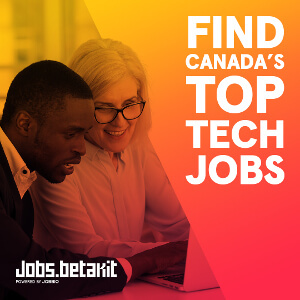 A tech writer that is super proud to showcase the Canadian tech scene. Background in almost every type of journalism from sports to politics. Podcast and Harry Potter nerd, photographer and crazy cat lady.